Tsim Sha Tsui, Hong Kong - Flat F2, 14/ F., Mirador Mansion, 58-62 Nathan Rd., T. S. T.
PLEASE COME TO SEE AND COMPARE OUR NEW MAN HING LUNG HOTEL !!! We have deluxe family room for 5 people, deluxe quadruple rooms, deluxe triple rooms, deluxe twin rooms and single room. Our dexlue rooms use electronic card keys. Our deluxe quadruple and family rooms for 5 people using bathtab or massage shower. They are all brand-new rooms. 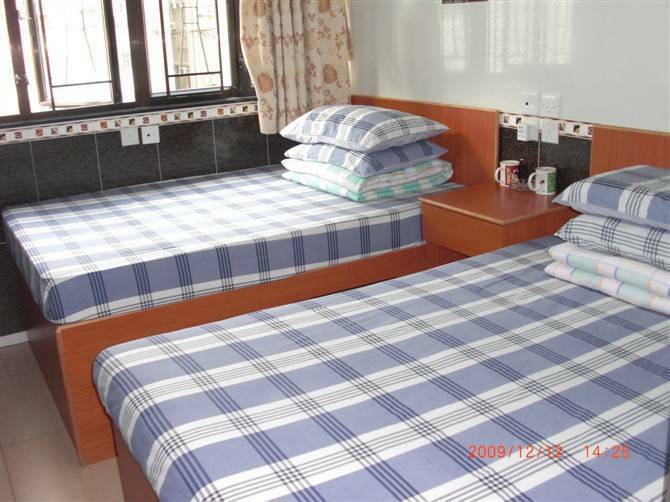 We also provide standard triple rooms, twin rooms, double rooms, and single rooms. Please come to see and compare !!! We provide free keeping luggages services for maximum 3 days. 24 hours hot and cold water, and free drinking hot and cold water. Free safty box service is provided. In our counter we provide a computer, and it is free to access the internet. We provide earphone, microphone, and a view camera. They are all free to use. We have printer, scanner, power adapter, multitasking card reader is free to borrow. We arrange China visa and tours and we sell cheap air-tickets, sell discounted Disneyland and Ocean park tickets, sell mobile phone cards and IDD phone cards. We provide free Manderin lesson. We provide tutors for Xaolin and Wudang Chinese GongFu. We can help you to upgrade your computer system and help you to download free fire wall and free anti-virus software. Help you to speed us your computer system. 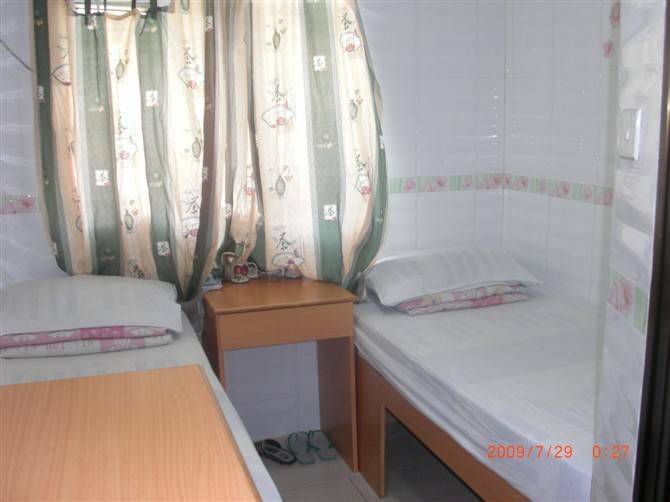 Man Hing Lung Hotel is a government licensed hotel located in Mirador Mansion. We provide special package for weekly or monthly stay customers. MORE DISCOUNT FOR GROUP BOOKING. PICK UP SERVICE PROVIDED FOR BIG GROUP BOOKING. Our hotel is located at the shopping centre of Kowloon, the best tourists area Tsim Sha Tsui. The world famous, beautiful Victoria Harbour is just 2 minutes walk from hotel, 5 minutes walk to the Star Ferry Pier from where you can take the ferry to the beautiful scenery the Victoria Peak , 3 minutes walk to the Avenue of Stars Sogo --- one of the largest deparment store in Hong Kong, Culture Centre, Space Museum, Art Museum, Harbour City, Ocean Terminal, Parklane Squre, New World Centre, Miramar Shopping Plaza. 1 minute walk to the California Fitness Centre recommended by Jackie Chan, 2 minutes walk to the swimming pool, it has indoor and outdoor facilities, the indoor one is suitable for staging major or international swimming events. The MTR train's station is around the corner. The newly built KCR train's station to China is just over there, where you can reach the Low Wu City of ShenZhen for just 50 minutes without changing the train. The A21 cityflyer bus stop to or from the airport is under our building. The K3 free shuttle bus connecting between our hotel and the Airport Express Train's station is just behind our building. Countless amount of bars, pubs, restaurants and other dining options are just one inch away. All our hotel rooms can acess wireless internet without pay any money ! If you bring your laptop with you, you can enjoy our wireless and DSL connection with ultra speed at 100. 0 Mbps without pay any money ! 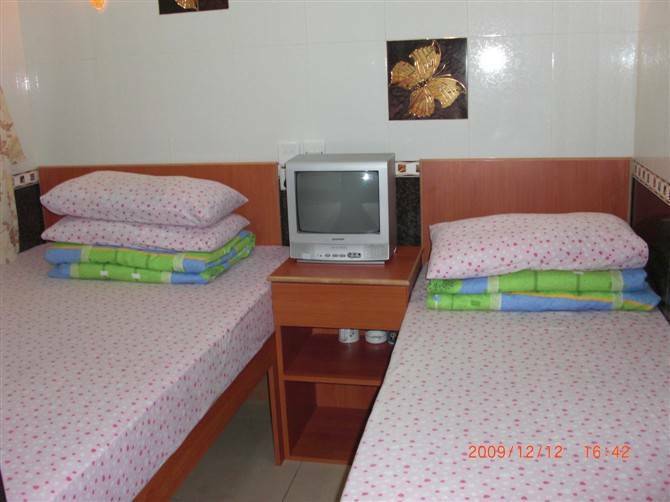 The Man Hing Lung Hotel offers rooms of superior quality, we accept credit card, have en-suite shower room and toilet with hot and cold water 24 hours available, plenty of storage space for luggage and clothes. 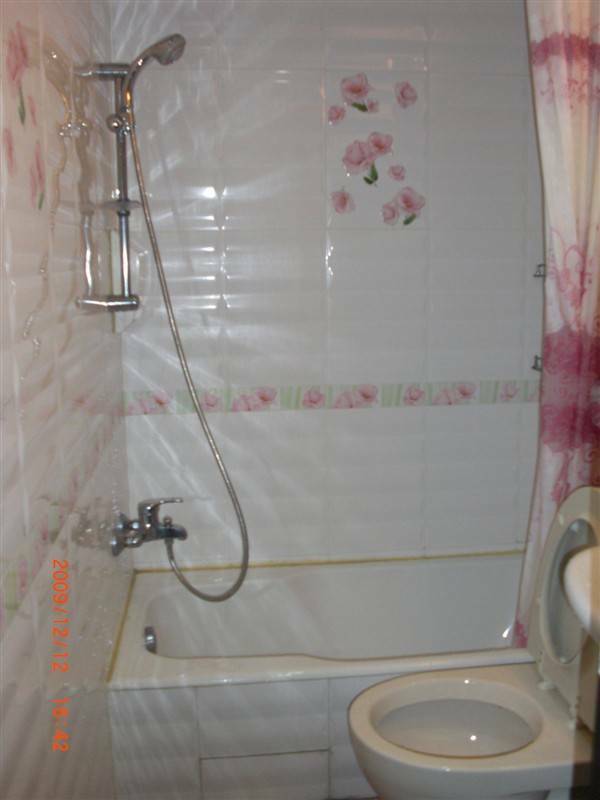 Each room also has colour TV, air conditioning and free local telephone. There are single, double, twin and triple, quadruple, and family room for 5 people rooms available. You will find youself staying with nice, quite, peaceful, and safety neighborhood. Rooms are spotlessly clean and the staff are very friendly and helpful, speak fluent English, Manderin, Cantonese, Fujian language, and some Japanese language as well. We will tell you briefly where to go for shopping and sightseeing and will give you colorful local city maps for free . Free coffee, tea, hot and cold drinking water is provided all the time. We have also set a business corner , providing computer with broad band internet access. You can use our fax machine, scanner, card reader, USB hub. Wireless internet access equipment have also been applied, you can use the wireless internet freely inside your own room. China Visa Express Service ( single and double entry tourist or business visa) . For American passport can get 6 months multiple each time 30 days only. Hong Kong, Macau and China Tours. Different brand of mobile phones in whole sale or retail. Rooms with en-suite shower and toilet with hot and cold water 24 hours available, plenty of storage space for luggage and clothes. Each room also has colour TV, air conditioning and free local telephone. 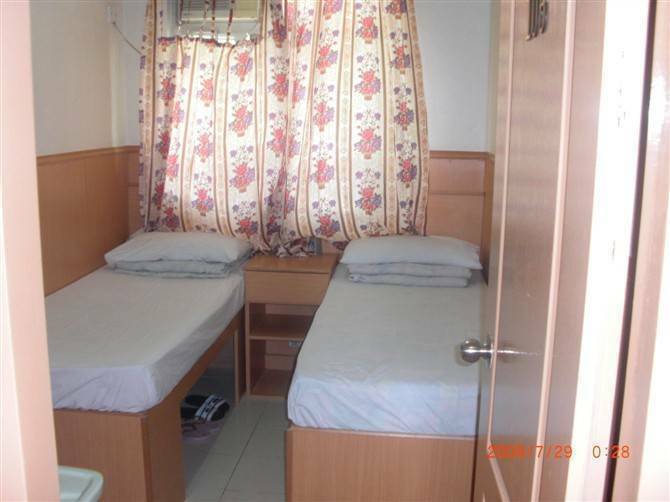 There are single, double, twin and triple rooms available. We have also set a business corner , providing computer with broad band internet access. You can use our fax machine, scanner, card reader, USB hub. Wireless internet access equipment have also been applied, you can use the wireless internet freely inside your own room. Technical Support: We will help you to setup the wireless internet connection. If you need more fastest speed, we will provide you DSL cable connection. We will provide you mutiple purpose sockets, power extension cord. Let you feel very comfortable while you are using the internet. If you stay at other hotels and and you find that their wirless system is poor, please come and stay at our hotel ! We are equiped with HP PSC 2410 PHOTOSMART ALL-IN-ONE. It is used for computer table printing, fax machine, scanning, and photo copy. Sogo --- one of the largest deparment store in Hong Kong, Culture Centre, Space Museum, Art Museum, Harbour City, Ocean Terminal, Parklane Squre, New World Centre, Miramar Shopping Plaza. 1 minute walk to the California Fitness Centre recommended by Jackie Chan, 2 minutes walk to the swimming pool, it has indoor and outdoor facilities, the indoor one is suitable for staging major or international swimming events. The MTR train's station is around the corner. The newly built KCR train's station to China is just over there, where you can reach the Low Wu City of ShenZhen for just 50 minutes without changing the train. The A21 cityflyer bus stop to or from the airport is under our building. The K3 free shuttle bus connecting between our hotel and the Airport Express Train's station is just behind our building. Countless amount of bars, pubs, restaurants and other dining options are just one inch away. 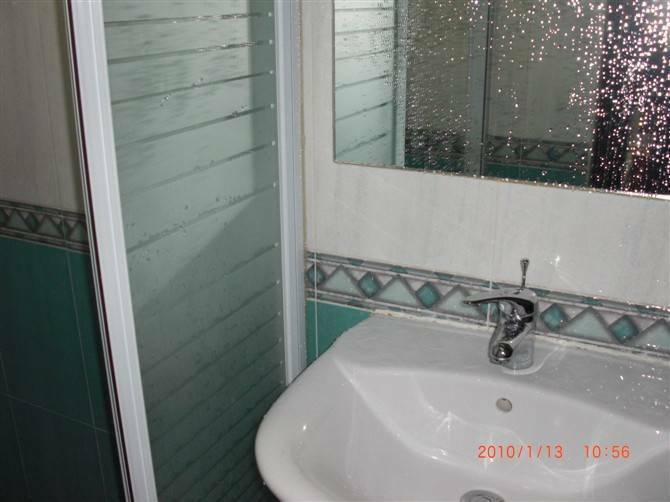 Flat F2, 14/F., Mirador Mansion, 58-62 Nathan Road., Tsim Sha Tsui, Kowloon, Hong Kong. When you arrive at the Hong Kong airport, before you collect your luggage, there are many free telephone you can use, please call us, we will direct you the easiest way to come to our hotel. If you you come by ferry or train, when you reach the ferry or the train terminus, please call us, we will direct you the easiest way to come to our hotel. Our hotel is only on the 14th FLOOR, FLAT F2 ONLY ! Please take the "ELEVATOR No. 5" to the 14th FLOOR directly, don't trust and follow any people on the street !